Saddam Hussein Abd al-Majid al-Tikriti (Arabic: صدام حسين عبد المجيد التكريتي Ṣaddām Ḥusayn ʿAbd al-Maǧīd al-Tikrītī; 28 April 1937 – 30 December 2006) was the fifth President of Iraq, serving in this capacity from 16 July 1979 until 9 April 2003. A leading member of the revolutionary Arab Socialist Ba’ath Party, and later, the Baghdad-based Ba’ath Party and its regional organisation Ba’ath Party – Iraq Region—which espoused ba’athism, a mix of Arab nationalism and Arab socialism—Saddam played a key role in the 1968 coup (later referred to as the 17 July Revolution) that brought the party to power in Iraq. As vice president under the ailing General Ahmed Hassan al-Bakr, and at a time when many groups were considered capable of overthrowing the government, Saddam created security forces through which he tightly controlled conflict between the government and the armed forces. In the early 1970s, Saddam nationalized oil and other industries. The state-owned banks were put under his control, leaving the system eventually insolvent mostly due to the Iran–Iraq War, the Gulf War, and UN sanctions. Through the 1970s, Saddam cemented his authority over the apparatuses of government as oil money helped Iraq’s economy to grow at a rapid pace. Positions of power in the country were mostly filled with Sunnis, a minority that made up only a fifth of the population. Saddam formally rose to power in 1979, although he had been the de facto head of Iraq for several years prior. He suppressed several movements, particularly Shi’a and Kurdish movements, seeking to overthrow the government or gain independence, and maintained power during the Iran–Iraq War and the Gulf War. Whereas some venerated Saddam for his opposition to Israel—which included the use of military force—he was widely condemned in the west for the brutality of his dictatorship. In 2003, a coalition led by the U.S. and U.K. invaded Iraq to depose Saddam, in which U.S. President George W. Bush and British Prime Minister Tony Blair accused him of possessing weapons of mass destruction and having ties to al-Qaeda. Saddam’s Ba’ath party was disbanded and elections were held. 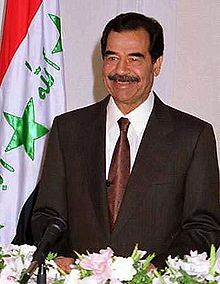 Following his capture on 13 December 2003, the trial of Saddam took place under the Iraqi interim government. 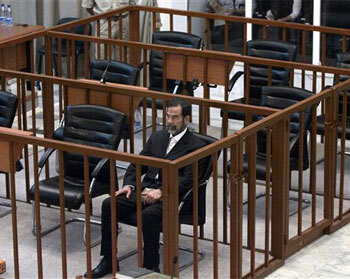 On 5 November 2006, Saddam was convicted of charges related to the 1982 killing of 148 Iraqi Shi’ites and was sentenced to death by hanging. 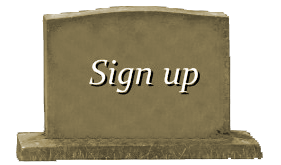 His execution was carried out on 30 December 2006.